In 1977, David Bowie sang “I will be king, and you, you will be queen.” Little did he know how literal that would become. After a nearly 50-year career that transcended musical and societal labels, Bowie’s cosmic career as one of Pop music’s most important figures came to an end when he died Sunday of cancer. The news broke over his website and social media accounts, just two days after the release of his latest album, “Blackstar,” which coincided with the singer-songwriter’s 69th birthday. Fans and colleagues, including fellow British music artists Paul McCartney and Duran Duran, took to the Internet to pay their condolences. Bowie was born David Jones on Jan. 8, 1947, but changed his last name to Bowie at the start of his career in 1966 to avoid confusion with Davy Jones of the Monkees. 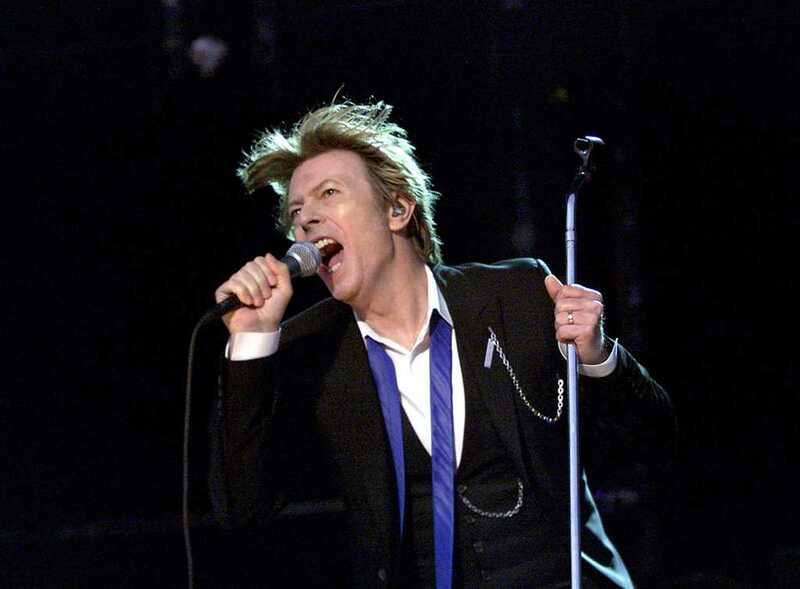 He released his first album, “The World of David Bowie,” in 1967, which mostly went unnoticed. That anoymity changed in 1969 with “Space Oddity” and the poignant track of the same name, which tells the story of Major Tom, an abandoned astronaut orbiting the moon. Although the song was a hit on British airwaves, it took four years for the song to catch on in the United States. He received his first major crossover hit with “Fame” off of his album “Young Americans” in 1975. Bowie released 24 more albums after that, most recently “Blackstar.” He was a musical chameleon. Over the span of his 40-year career, he never restricted himself to one genre and constantly experimented with different sounds, making his career one of pop history’s most influential in recent memory. Bowie began as a glam rocker, but afterwards delved into other genres like art rock, soul, jazz, hard rock, dance- pop and -punk and electronica. His career brought him 14 awards, including a Grammy and a Daytime Emmy award for his ability to create art from all sides of the musical spectrum. As genre couldn’t contain Bowie’s musical creativity, neither could the platform. Aside from a varied musical career, Bowie also made several film and stage cameos, including a lost space alien named Thomas Jerome Newton in “The Man Who Fell to Earth” (Dir. Nicolas Roeg, 1976), the tragic title character in “The Elephant Man” on Broadway (1980) and, most famously, the Goblin King in Jim Henson’s cult classic “Labyrinth” (1986). Bowie also leaves behind a legacy of civil rights. One of his most popular songs, “Heroes,” is about a relationship that develops at the site of the Berlin Wall. After living in Berlin for three years in the ’70s, Bowie returned to the wall for a concert in 1987 preluding the wall’s fall two years later. Bowie also famously confronted MTV in a 1983 interview about its lack of black artist music videos, the same year Michael Jackson’s “Thriller” video put the network on the map. The incident is one of the singer’s most prolific and telling moments as an artist-activist. But perhaps Bowie will best be remembered as a sexual enigma. As one of the first mainstream artists unafraid to be sexually ambiguous in the public eye, Bowie paved the way for openly gay artists along with the likes of Queen’s Freddie Mercury. Tributes to the musician have been overwhelmingly positive, with celebrities and fans alike flocking to social media to say goodbye. Apart from some sexual assault claims, including one account that suggests Bowie had a sexual encounter with Lori Mattix, a groupie and a minor at the time, Bowie’s legacy is admirable. Akin to his musicianship, Bowie took several names — including Ziggy Stardust, Aladdin Sane and Starman. He married his first wife, Angela “Angie” Bowie in 1970. They divorced in 1980 and had one child, BAFTA award-winning director Duncan Jones. In 1992, he married supermodel Iman. The couple, who were still together at the time of Bowie’s death, have a daughter, Alexandria Zahra Jones. One day before “Blackstar”’s release, Bowie debuted the music video for the second single off the album, “Lazarus.” Bowie’s longtime producer Tony Visconti declared on Facebook Monday that the singer’s final record was “a parting gift” to his fans. He croons, “Look up here, I’m in heaven / I’ve got scars that can’t be seen” in a hospital bed, like he knew his death was coming before anyone else did. The title of the track is an illusion to the Biblical story of the same name, where Jesus revives Lazarus, a devout follower and beloved friend, four days after his death. Although unlike Lazarus, once he took flight, Bowie never seemed to crash — even after death, Starman’s impact will remain ubiquitous for generations to come.